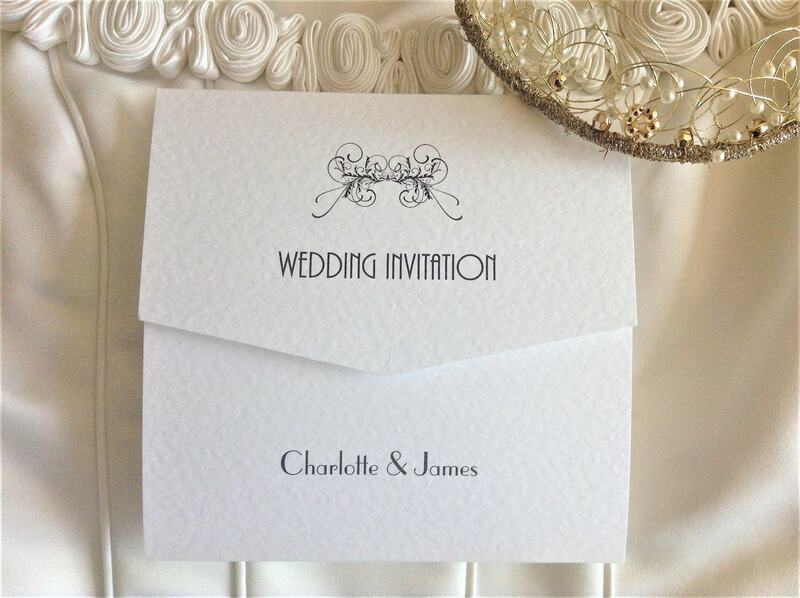 are supplied on a thick heavy weight (270gsm) hammered card and are available in white or ivory. 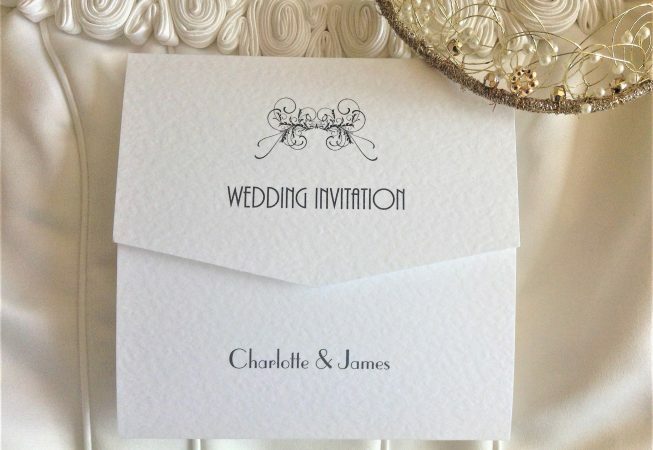 This unique wedding invitation design is a popular choice as it offers three areas for printing, top, middle and bottom panels of the invitation. 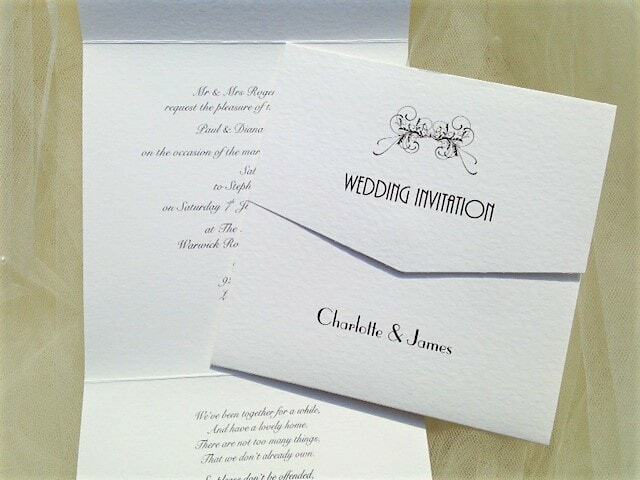 Tri Fold Wedding Invitations are also supplied with Velcro closers for you to apply if you wish. 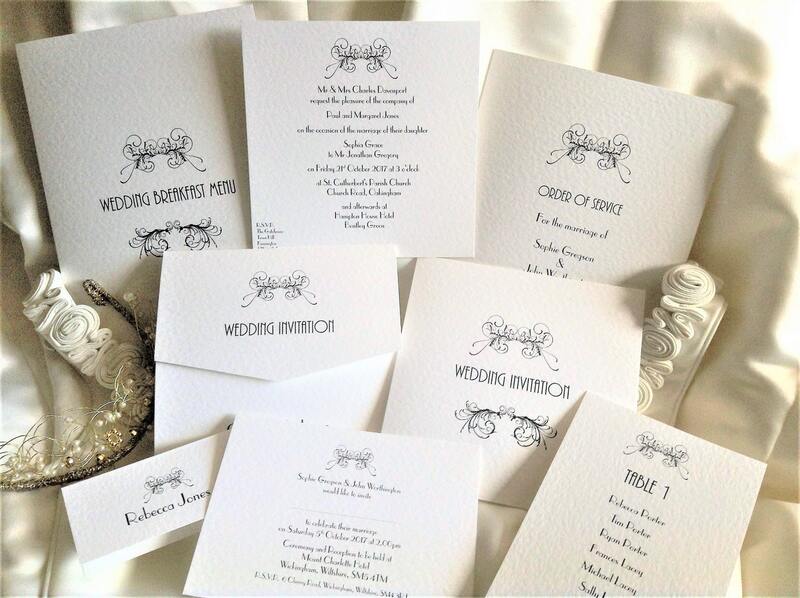 Art Deco design emblem is only available in black as shown. 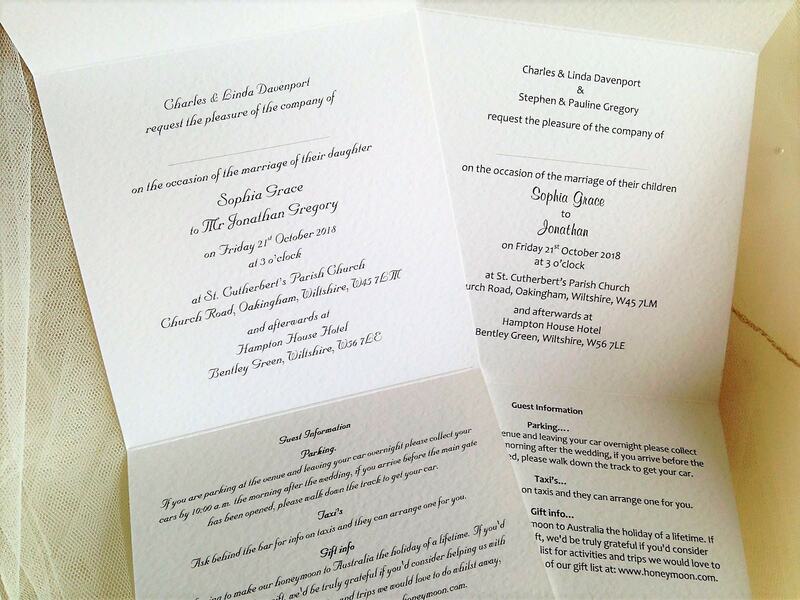 Velcro closers are supplied with these wedding invitations, for you to apply if you wish.